Yeah yeah, Ratchet & Clank is getting a movie. 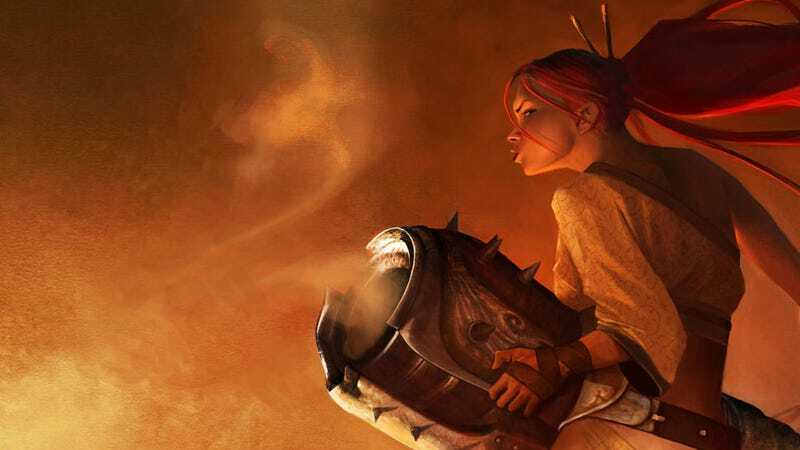 Good news for fans of the series, but more exciting for me is word that as part of the same deal, 2007 brawler Heavenly Sword is getting a movie made as well. A straight-to-home project, it's "a CG-animated film", which might be cheaper but is also a bit of a bummer, seeing as the game's 2D art was so stunning. Still, that's a minor hang-up. It might have been a ho-hum game, but as was their speciality before DMC, developers Ninja Theory could easily offset that with beautiful design and great characters, rounding it all off with top-shelf voice acting. It's a game - and world - that's long deserved something like this. And who knows, if it does well, what's to stop them moving onto Enslaved?